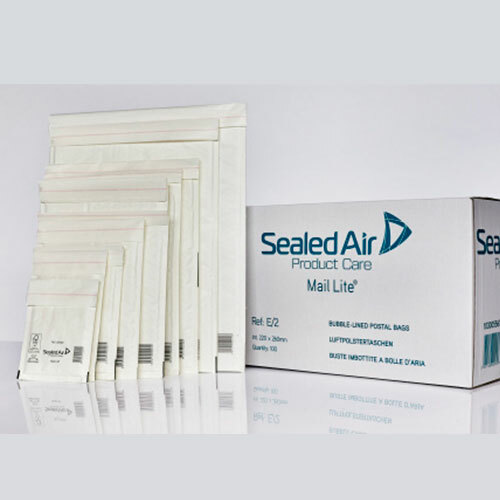 Mail Lite by Sealed Air are the only protective mailer lined with Aircap® bubble material which contains a special air retention barrier to seal very bubble against air loss for high performance cushioning. Lightweight, durable with a strong self-seal closure they are the ideal choice for low cost postal mailings. Mail Lite® have an easy to write on surface and excellent label adhesion. There is a unique tear strip feature for quick and easy opening. Mail Lite® is light weight to comparative traditional packaging by 35%.